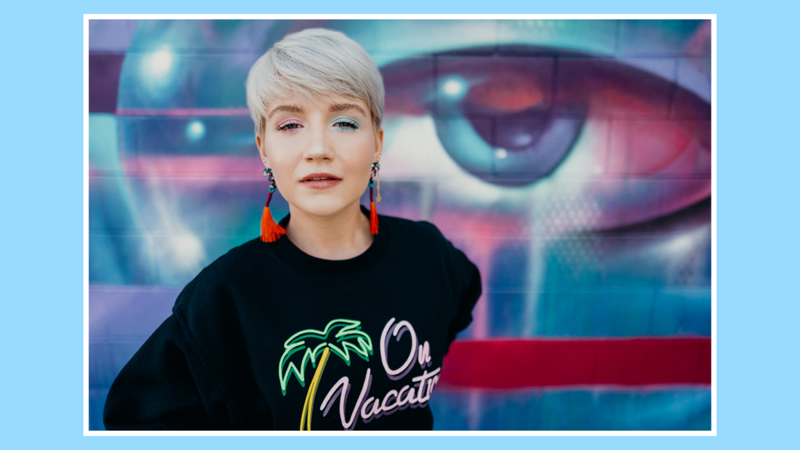 Cali-via-Slovenia’s Anja Kotar is delivering some much-needed vibrancy with her colorful new music video, ‘Poster Child of California’. ‘Poster Child of California’ aims to be a major summer bop, thanks to its bright and sunny 80s chords and catchy funk-fueled chorus – so basically, the musical embodiment of the gorgeous Pacific state Anja praises in her song. Come through with that bop for the summer, Anja! “She sets the world ablaze / Deep down still get scared but / She’s determined to amaze!” Anja sassily sings. According to Anja, those upbeat lyrics to ‘Poster Child of California’ tell the tale of a powerful woman confidently living her best life: “‘Poster Child of California’ is an 80s synth inspired female empowerment anthem about the real, raw and unconventional California girl. I wrote it as an ode to accepting yourself, your story and being confident in your uniqueness. For the video, we wanted to represent a variety of strong women so we paired unique outfits and looks with significant locations across California.” Yasss sis! Check out Anja’s 80s lewks in ‘Poster Child of California’ exclusively on SheBOPS!